Puppies are born upstairs and are moved downstairs at four weeks, where they interact with my other adults (two Lappies & two German Spitz Klein) & get used to a busy noisy household. My husband & I are both at home during the day so are able to dedicate lots of time to all of the furries. 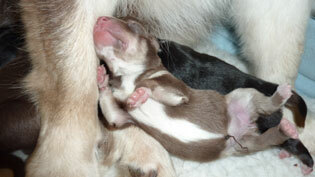 Pups spend time each day playing outside with their Mum and Salo (he LOVES puppies!). We also have two Siberian Cats, one of whom, Atticus, also loves puppies. We have a huge amount of visitors so they leave here thoroughly 'cuddle tested', really confident and full of character. We name the pups and kiss and cuddle them like they are going to stay here forever, it's what we do and we wouldn't have it any other way. 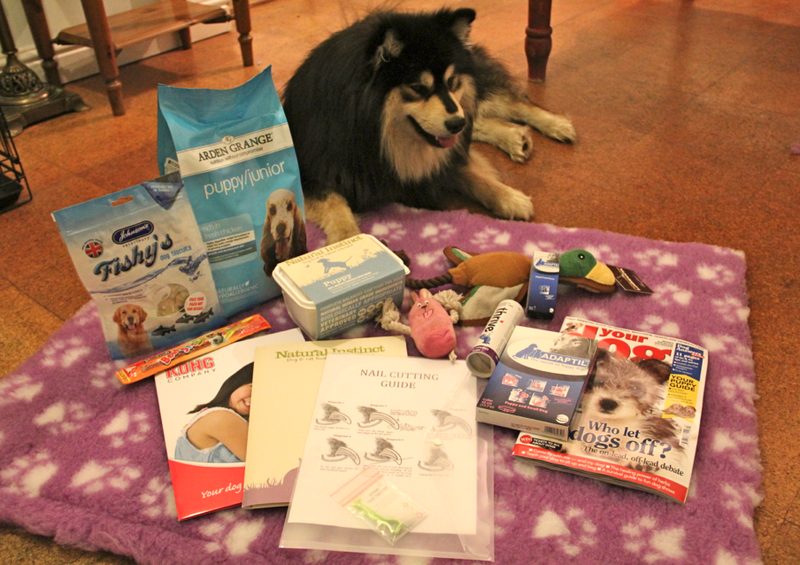 Pups have their eyes screened, are microchipped, vet checked and regularly wormed (their first year's worming tablets are supplied) and leave here with a whole bundle of goodies to help them settle in. I also place a DAP Collar on each one to ease the transition - changing homes is a stressful time! My dogs and my puppies mean the world to me and this isn't just a hobby, it's a passion. Please note that my preference is for my puppies to go to 'dog enthusiasts' who have a strong desire to do dog sports with their dog. These are a working breed & do best having their brain stimulated which results in a really good working relationship with their owner/family. They do make perfect family dogs but they need activities to fulfill them - put it like this, it's like having another child and the 'extra child' needs extra curricular activites just like the rest of the children. Thankfully these dogs are so versatile that the options for activities are endless - regular training classes, agility, obedience, Rally O, conformation showing, flyball, tracking. The more time you put in the better and because these dogs are so smart, it's worth channeling their energy and intelligence in the right direction, bored dogs look for mishcief! If you would like to come and visit my adult Lappies you would be more than welcome, just drop me a line telling me about yourself and we can organise something. I live in Farnham, Surrey. I will happily answer your questions about the breed and tell you what living with them is like and the upsides and downsides, in my experience. You will be able to judge for yourselves what adults are like within the home. Please do not write to me asking only if I have puppies for sale and how much are they? Also please don't include me in a bulk email to breeders on the FLCGB Breeders List! Emails should start with 'Dear Liz' and not 'Hi do you have any puppies planned this year' (it's a dead giveaway that someone hasn't had the courtesy to read through my website before contacting me). I am only interested in prospective owners who have taken the time and trouble to thoroughly read through ALL of my website and are attracted to the care, love and support I give to each and every puppy and owner. It's also helpful if you read through my FAQ section. I get many enquiries and the ones I want to respond to tell me about the prospective home on offer, whereabouts in the UK they live, whether they have any experience with dogs, their lifestyle and working hours, any children and ages, what attracts them to a Lappy and what they'd like to do with a Lappy (should they go on to get one). If this email engages me and shows that someone has taken the effort to thoroughly read my website, then I am more than happy to give over my time in return and lifetime support and friendship should they go on to have a puppy from me. When I breed, I select new homes from the people that have visited me and preference is given to active homes in the South East. After spending some time chatting over my dogs I generally have a very good idea of whether a Lappy would suit their lifestyle. I also get a chance to meet the children that will be living with a puppy. If they are well behaved and respectful of my adult dogs then I feel happy that they will be fine with one of my Lappy puppies. People with unruly kids get told to contact someone else! Often after such a meeting, people are desperate for a pup, either from me if I have a litter planned or from a breeder I can recommend. Meeting me is not a guarantee of a puppy however. I am more than happy to put people in touch with other owners of TabanyaRuu pups to really get a feel for what those early puppy months are like! As you may have gathered, I like to keep in touch with all my dogs, not just when they are puppies, but throughout their adult life. I love reading about the dog's exploits by receiving updates and photo's and meeting up for get-togethers when possible. I don't just sell a pup to the first people who ask to 'go on my list', take the money and wave them off without another thought. I give very careful consideration to the right home for each and every pup based upon what the owner wants to do with their dog and what the character of the puppy is. If someone would like to give showing a go (a good excuse to meet up for a chin wag with fellow Lappy Lovers) I will be only too happy to help steer them on the right course - even handling the dog for them if necessary (sometimes it's nice just to watch *g*). Agility, obedience and Rally O are also encouraged - in fact anything that keeps your dog active and gets their brain working. I often conduct a home visit to ensure that the garden is adequately fenced and to answer any on the spot questions the new owner may have (especially important for first time dog owners). I once drove 230 miles to conduct a home visit. A bit OTT? Well maybe, but new owners-to-be seem to appreciate the amount that I care and the effort I put into my pups and in turn I have the peace of mind of knowing that I have found a secure and special home. It is a good idea to visit as many Lappies as possible and a good way of doing this is to visit a dog show. Details of forthcoming shows can be found at www.highampress.co.uk www.fossedata.co.uk , www.dog.biz or www.sfls.org.uk Lapphunds are often well represented at Championship Dog Shows and the owners will usually be more than happy to answer any questions you may have. Fellow TabanyaRuu owners will be more than happy to tell you what it's like to have a puppy from me and how their lives have changed as a result of getting a TabanyaRuu puppy - many are keen to let you meet their dog in person, so if you'd like to know if one is living near you, please shout!